This can be the place where people come to talk about current ailments and their road to recovery. This can also be a place for home remedies. Example: "It hurts my X when my swing does Y.... Does anyone know how to make the pain stop?" I know a lot of the MGS members are banged up right now and I certainly wish them all the best in their recovery. This can be a common place for all the folks on the DL to commiserate together! Going to be an interesting thread, everyone has something going on. I'm with u on the surgery, I kinda like my parts staying right where are. That would be awesome! Let me see what the VA comes up with and we'll go from there. Glad someone started this thread! 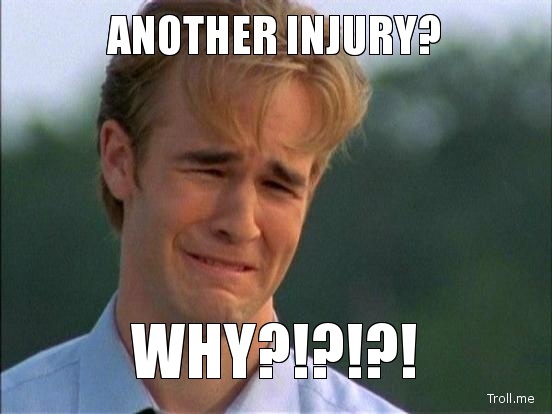 I just wish it was a few months earlier when I suffered my injury. 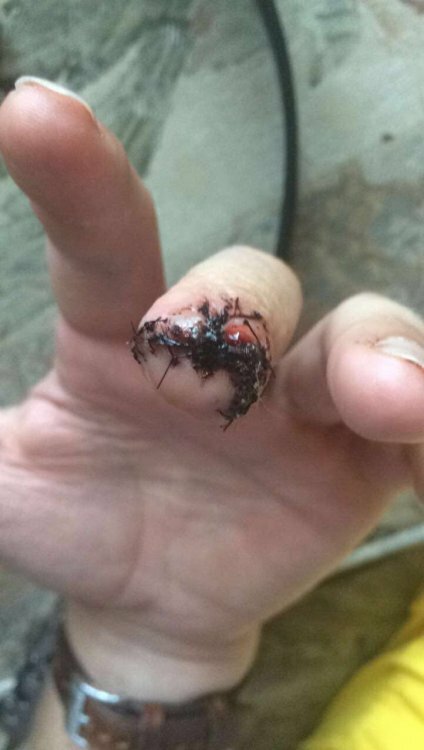 On June 30th, 2017 I was moving a safe at work, which was one of the old style big block with a top door latch, when the safe slipped off of the rollers and the door, which was still open, fell and crushed the top of my finger. After getting to the hospital I spent 6 hours between X-ray, assessments, and finally surgery. 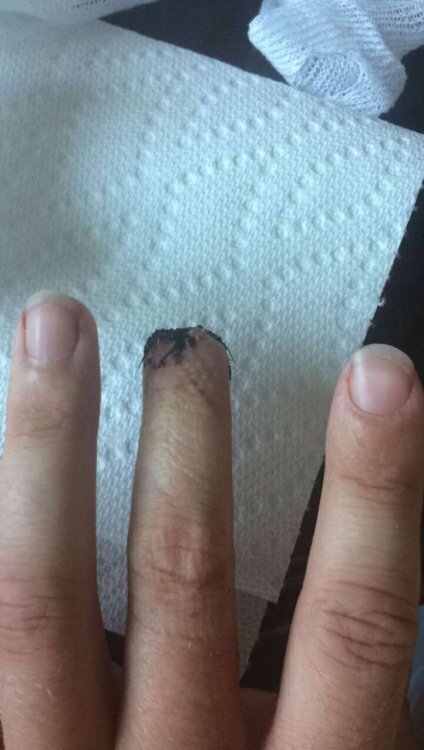 The door had crushed the distal phalange (bone above your top knuckle)(the part with the nail) and there was no chance they would be able to re-attach the removed piece. After removing the remaining bone and nail, 11 stitches were used to pull the remaining skin over top and provide me with a nub to work with. 6 weeks of physiotherapy later and my finger was back to full strength again. Looking back on it I am lucky that it was on my non-dominant hand and I didn't have to make any major grip changes. That being said, I did switch from Larkin 3Gen grips to SuperStroke CrossComfort since they were a bit softer and absorbed a bit more vibrations in the club. Crazy thing about the whole ordeal was that I've been playing better since the incident occurred. Good luck and best wishes. I've been dealing with on and off back pain from a lifting injury a few years ago and sleeping in ambulances and on couches. I've had numerous uncles do this and a few friends. Very common in people who work with their hands. I mentioned it in the other thread but since it's here I'll contribute. My mom's 130-lb pitbull bit me in the mouth 3 weeks ago, right before I was heading out to play a round. Leaned towards him to say goodbye and I guess he didn't like how fast I was moving, or my face being in his, I don't know, but he got me pretty good. Completely cut my bottom lip in two, not quite down the middle, a little bit off to the side, and caught my top lip as well but not quite as bad. Had to wait about 4 hours at the hospital for an Oral surgeon to be called in. The wait was the second-worst part, right after the Lidocaine shots. Felt like he put the needle all the way in my chin, it was brutal. About an hour of surgery and 15 stitches later they sent me home looking like a patched-up scarecrow. 2 weeks of stitches, lots of Neosporin, and eating from a straw for the first week, September wasn't very fun for me. I'm all healed up now, though the top kinda healed funny, which is odd because it was less severe than the bottom by a mile. Nothing too crazy, just a small, hard, bump maybe 1/4 inch in diameter. Hopefully it smooths itself out so I don't need a revision. Shot 88 on Sunday after not swinging a club for 3 weeks, with two triples, so I'm pretty happy, and I bought myself a Scotty as a "got bit in the face" present . Just happy to be back on my feet, and not having any major disfigurement to my grill. Praying for you OG buddy! @dhart, hope it gets better sooner than later so surgery doesn't become required. @gray, I really feel for you man. I have no direct experience with MS but I know that's a heavy hitter and I wish the best for you. @Scooter, that's some serious stuff man. Besides being lucky that it got your non-dominant hand, you're also lucky it didn't get more fingers! A few years back I got smoked in the forehead with a baseball and I'm thankful every day that it didn't hit me in the nose, eye socket, teeth, temple, you name it! Well my pain makes me sound like a sissy but maybe you all can hit me up with a home remedy. 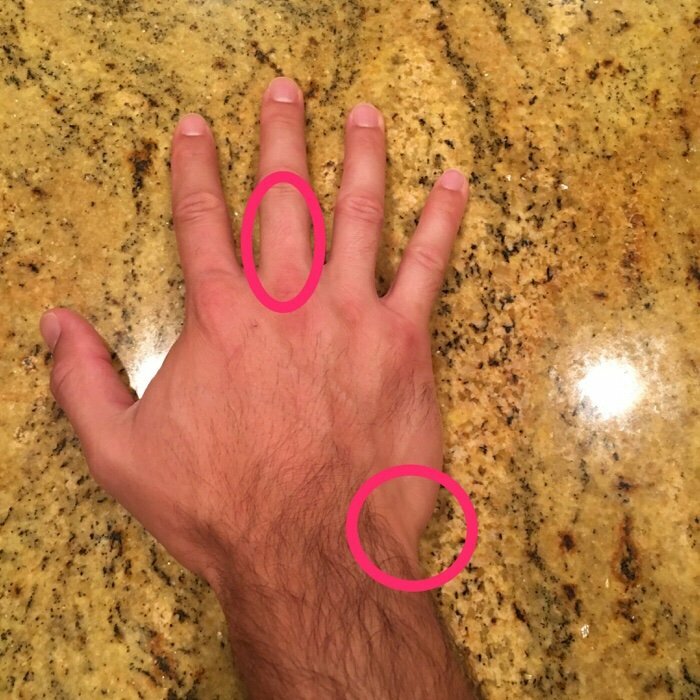 My wrist and middle finger hurt on my right hand. Probably from flipping off these crappy drivers. Golf wise, I felt the pain start as I was taking practice swings before my second shot on 18. I just do air swings so that wasn't it. I finished out the hole with a few painful shots. I don't feel any pain on chips or putts. It shows up at the bottom point of my swing on full swings. 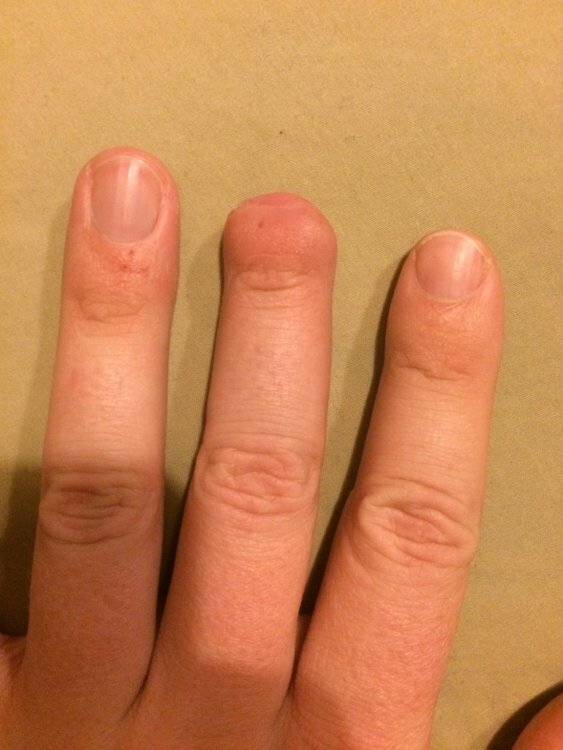 I have no idea what's up with my middle finger but it's sore almost all the time. It could be muscle or nerve damage nerves from forearm are tricky and sensitive. Was out most of the year with rotator cuff surgery and multiple complications the most serious of which were blood clots in my legs and one broke free causing a pulmonary embolism. Finally starting to feel better and I wrench my back cleaning up after the hurricane. Really has been a wasted year, 2018 cannot come soon enough! There, I'm now done feeling sorry for myself. About your brain scan... I'm not sure whether to hope they find something or not.